Data loss is often a major concern for Office 365 customers, because more and more business critical data moves to cloud. Microsoft’s backup policies can’t guarantee a complete restore of lost data. When production data moves to the cloud, many organisations don’t realize that they are still responsible for their data no matter where it’s located. Although moving to the Microsoft Office 365 platform allows you access to its powerful features and collaboration tools. Many have assumed that once your data is in the cloud, it is completely safe. 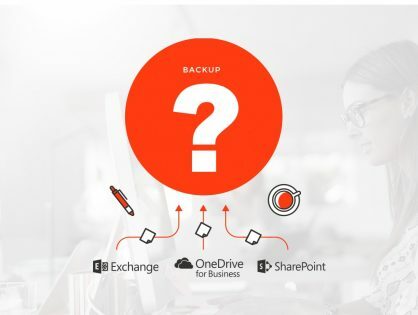 Unfortunately Office 365 doesn’t have native backup and ﬂexible recovery capabilities for customer data. Ultimately, you are responsible for these activities in order to keep your customers data safe in the cloud. O365’s native recycle bins and version histories are not true backups, and they don’t allow internal IT organizations to control backup and recovery. Over 32% of companies have lost data in the cloud. Don´t be the next victim. Learn how you can protect your or your customers' Office 365 environment.